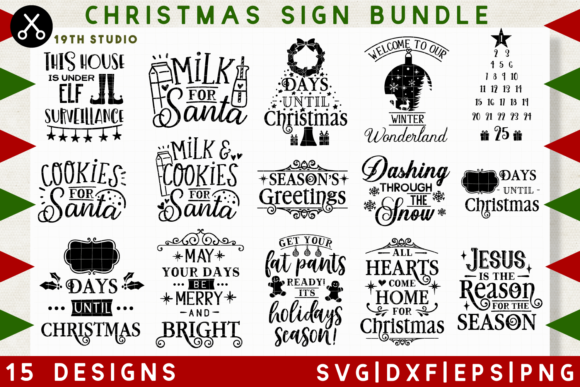 The Christmas Signs Bundle helps you decorate your house with your very own crafts! The designs are perfect for front door decorations, Christmas countdown, Santa’s cookies plate and some funny quotes for the family. You will receive the files in the following formats: SVG, DXF, EPS, PNG. All SVG files are compatible with Cricut and Silhouette cutting machines.